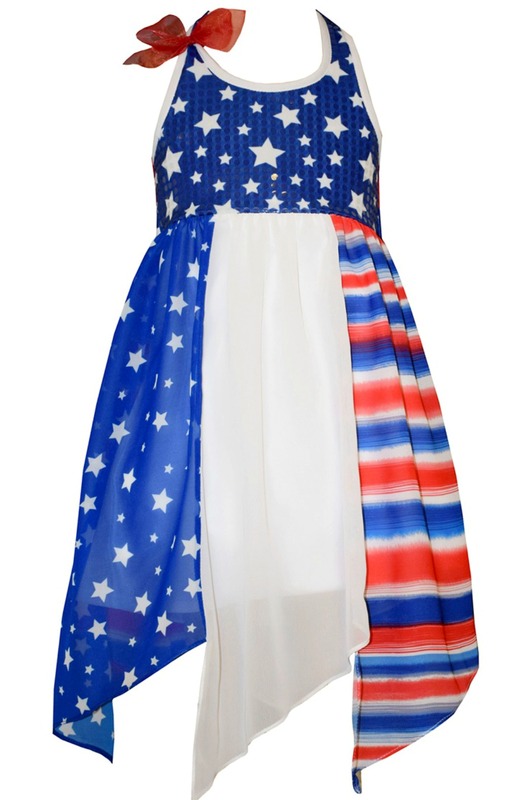 Fabulous girls patriotic flag dress features American stars and stripes in red, white and blue. Perfect for 4th of July parties, Americana pageant dress or any patriotic occasion. Lined.